Many years ago when I was in New York City with my parents I saw a bakery near Rockefeller Center that looked so good and so inviting that I felt like I was drawn to it. I’d never heard of the place before, but during the middle of the winter when the temperature outside was below 20 degrees, this warm, inviting, bakery was like a beacon calling out. Unfortunately, on that trip, I never had a chance to stop in and pick up some cupcakes or cakes. Since that time, this particular bakery has always intrigued me. A couple of years ago, I had a friend who went to New York and posted a picture on Facebook of a cupcake she bought at this bakery. Then, I’ve seen this bakery featured on The Food Network and a couple of times on the morning network talk shows and my curiosity of this place has never waned. So, when my husband and I booked tickets to go to New York in the summer, I knew I wanted to find a way to maneuver our schedule so we’d be able to make a stop at the bakery. In 1996, Magnolia Bakery opened its doors as a vintage bake shop in New York’s West Village. Known for their vintage designs and classic American baked goods and cakes, Magnolia Bakery has gained a reputation that’s almost as long as its list of locations worldwide. 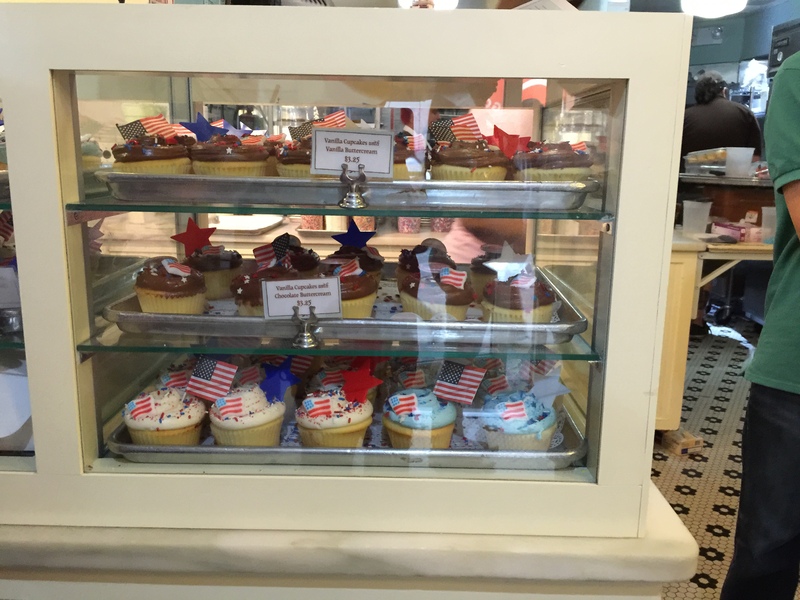 Classic cakes, icebox desserts, cookies and bars, cupcakes, pudding and other tempting treats are a feast for the eyes the minute you walk into Magnolia Bakery’s quaint original West Village location. In 2007, Magnolia Bakery’s original owner sold the bakery to Steve and Tyra Abrams who have spent the past 7 years expanding Magnolia Bakery’s reach to a global scale, opening stores in Mexico City, Moscow, Tokyo, Abu Dhabi, Beirut, Doha and Kuwait City. Soon, Hong Kong and Singapore stores will follow. 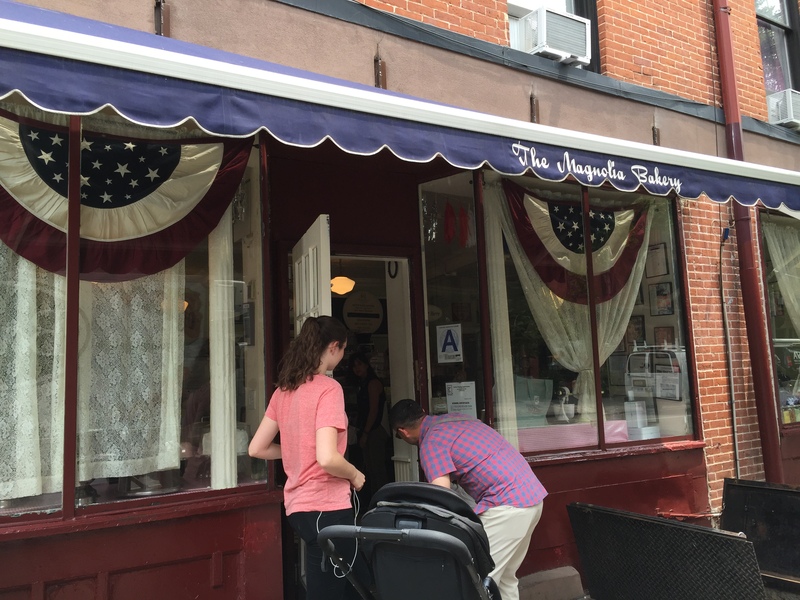 Priding itself on making everything by hand, fresh daily in store, Magnolia Bakery continues to draw crowds of tourists and locals alike who can’t get enough of their delicious desserts. While my husband and I stopped by the original West Village location, we actually ended up purchasing a few goodies to enjoy in our hotel room from Magnolia Bakery’s Rockefeller Center location. This store is so busy that it’s a bit of a zoo inside and it’s always crowded, morning, noon and night. When you walk into the store, you’re greeted by a long row of refrigerated glass display cases. 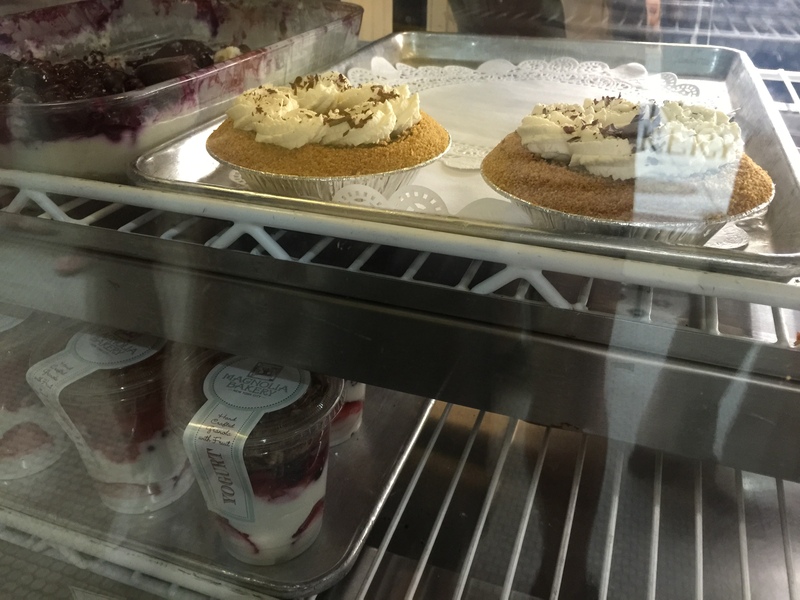 Each display case houses a different dessert item. There may be a display of cakes, a display of icebox desserts, a display of cupcakes and a display of cheesecakes. It’s a real feast for the eyes. Behind the counter you can see bakers hard at work churning out the next batch of goodies for customers. The idea is to step up to the display case which serves the dessert, pastry or treat you want to order. Place an order with the lady behind the counter and they’ll grab you want you want and package it all up for you. That’s the easy part, well easy after you decide what you want. Then you take the packaged box or bag or container or whatever you’ve purchased and you stand in the long line behind you waiting to get to the cash registers to pay for your purchase. This is where the wait comes in. Lucky, we were there in the late afternoon, and while the store isn’t huge and felt a bit crowded, it wasn’t yet shoulder to shoulder and there were probably only about 12-15 people in line in front of me. Making it to the front of the line, I paid for my purchases and took it back to the hotel room where my husband and I enjoyed these amazing desserts after in the evening. One of the items I picked up that became our dessert that night was the Snickers icebox pie. This small pie, just a couple of inches in diameter was the perfect size for two people to share. Made with a chocolate wafer crust, which was fabulous, the pie was layered with peanut butter and cream cheese and a whipped cream filling. The entire pie was then topped with Snickers bar pieces. The icebox pie was amazing. With one bite, it was creamy, tangy, and sweet. The flavor of Snickers came through immediately with the peanuts and the peanut butter and just the slightest hint of chocolate. The chocolate wafer crust was perfect for this particular pie as a regular pie crust would have been to flaky and buttery and just wouldn’t be right. I loved the texture of the pie filling with the creaminess of it which definitely tasted of peanut butter, but also wasn’t overwhelming. Sharing this icebox pie with my husband, I could see right away why Magnolia Bakery has developed the amazing reputation it has, this pie was really that good. 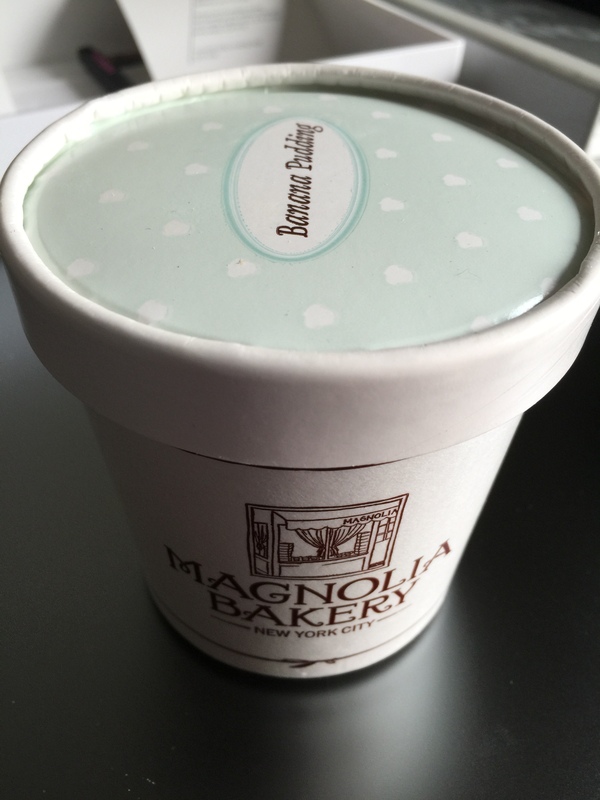 Magnolia Bakery’s most popular item, and probably the item they are most known for, is the banana pudding. I’ve gone on and on writing on this blog about how much I love bananas. There was no way I was leaving Magnolia Bakery without getting a serving or two of the banana pudding. 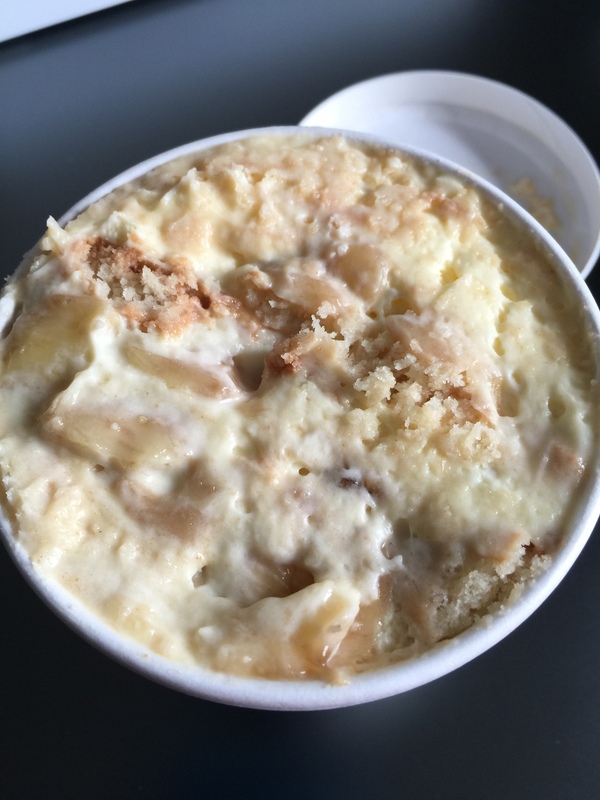 In the display cases, there is banana pudding in a bowl that is refrigerated in the case to show customers, but the pudding itself is already packaged in the back according to what size you want: small, medium or large. Of course, if you have a large gathering, you can also order a bowl that feeds 10 people. 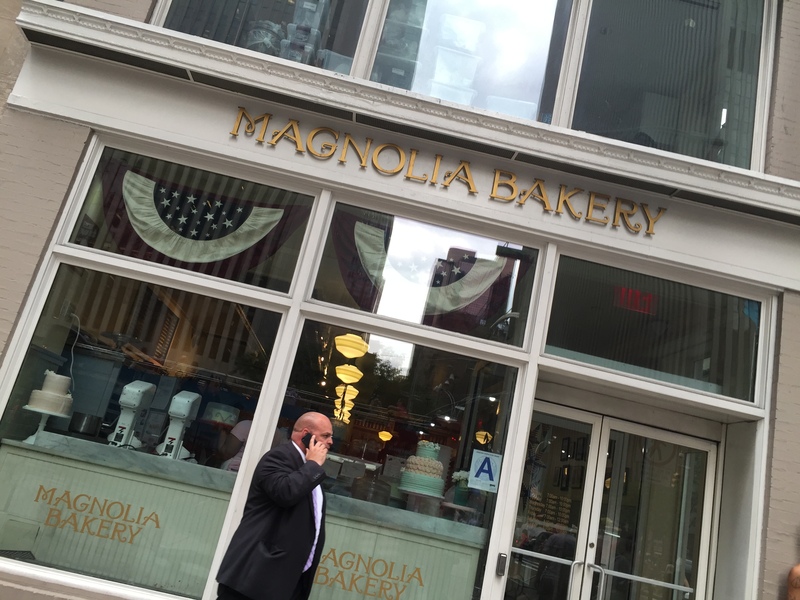 Believe me, everyone in line at Magnolia Bakery when I was there was toting a serving of their banana pudding. Made with layers of vanilla wafers, fresh bananas and creamy vanilla pudding, the banana pudding is made fresh, on a daily basis at Magnolia Bakery. The banana pudding is every bit as good as advertised. The pudding is sweet, but not too sweet. There are fresh chunks of banana throughout the entire serving and the bananas actually had some texture and body to them and weren’t just mushy, over-ripe bananas. And of course, the vanilla wafers that have a little sweetness to them, but also absorb all the wonderful flavors of the banana pudding and have just a little bit of texture and crunch still to them. This is banana pudding made from scratch and done the right way. You can taste it in every single bite! 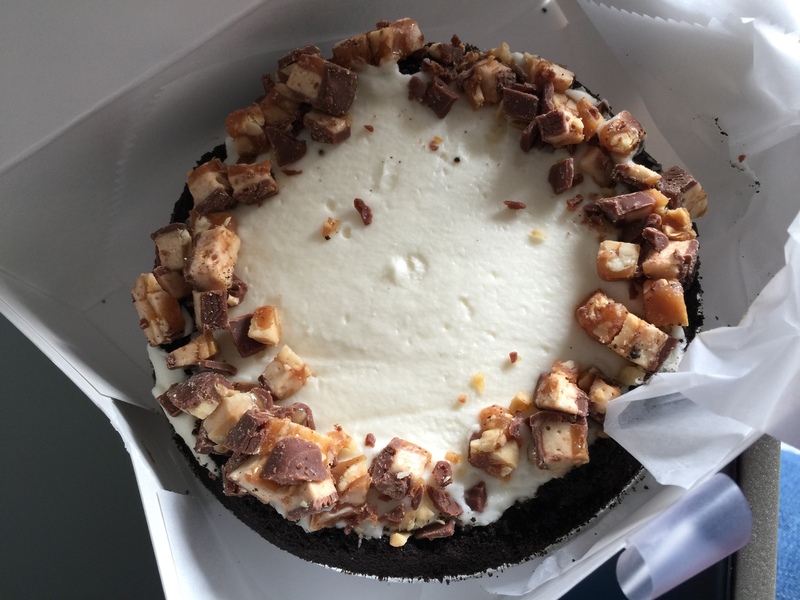 When Magnolia Bakery says they specialize in classic American baked goods and desserts made from scratch daily and with only the finest ingredients, they mean it. 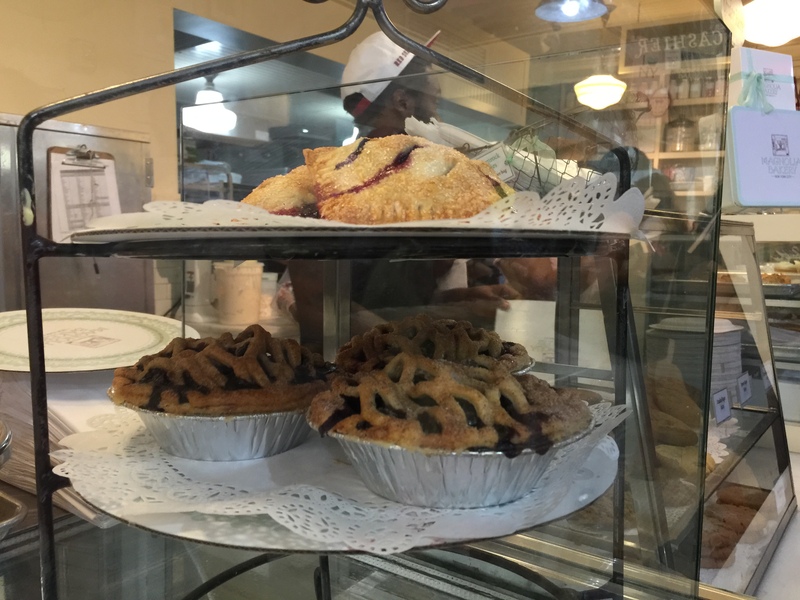 You can walk in to the bakery and see the bakers in the back abuzz from making the icebox desserts or the cookies or the cakes or the banana pudding or any number of other items. 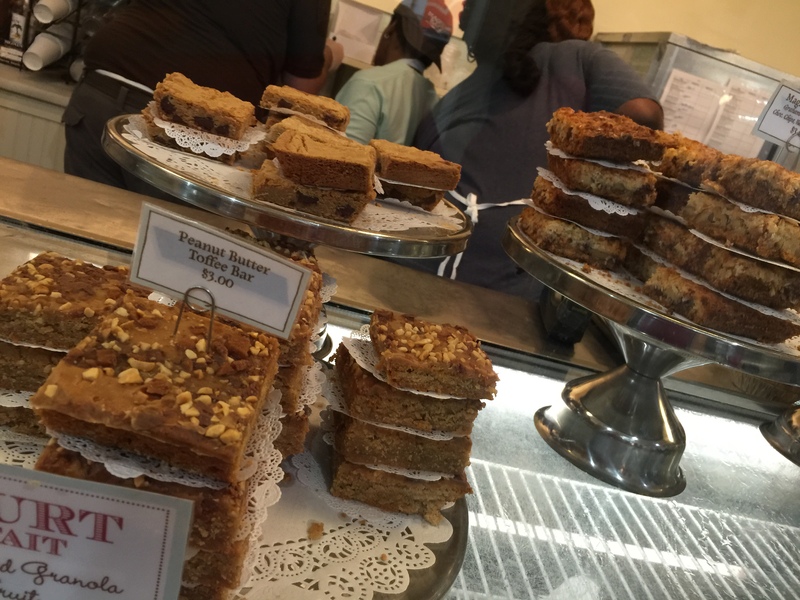 You can taste the made-from-scratch quality in all of their desserts. From the first bite to the last bite, you know your Magnolia Bakery treat is going to be oh-so-yummy. It’s these qualities that have helped Magnolia Bakery build its reputation, a reputation that is much deserved and well earned through every stick of butter, every pound of flour and every cup of sugar that they put into their treats.